The Zebra DS9908 brings mobility and stability to any retail or convenience store location, combining the best of Zebra's current-gen scanning technologies and preparing you for the future of customer service and functionality. Scan barcodes from your sale items, read coupons off of a customer's phone, check an ID for verification, or simply check something price, the DS9908 does it all right from your countertop or in the palm of your hand. Quick scanning, versatile usage, and a durable chassis come together to give you a device that will perform for years to come. Using Multi-Code Data Formatting, the DS9908 can take in multiple barcodes in one scan and transmit them into your required fields. High-motion tolerance means you don't have to fight to keep up with a quick-moving conveyor belt or a long line of items needing to be scanned, making checkouts faster and more convenient for you and your customers. Right out of the box this scanner family is set to work with 97 different international keyboards, is backward compatible with the previous DS9808 cables, is ready for RFID implementation, and can be managed in a few minutes with rapid deployment configuration barcodes with 123Scan. You can even keep an eye on data and performance of your scanners from multiple locations with Zebra's Scanner Management Service (a no-cost addition to your fleet). For the most promising use of this new scanner, we suggest it be used in a grocery or convenience store setting, where one is attempting to save money or counter space by not installing a combination scanner/scale. 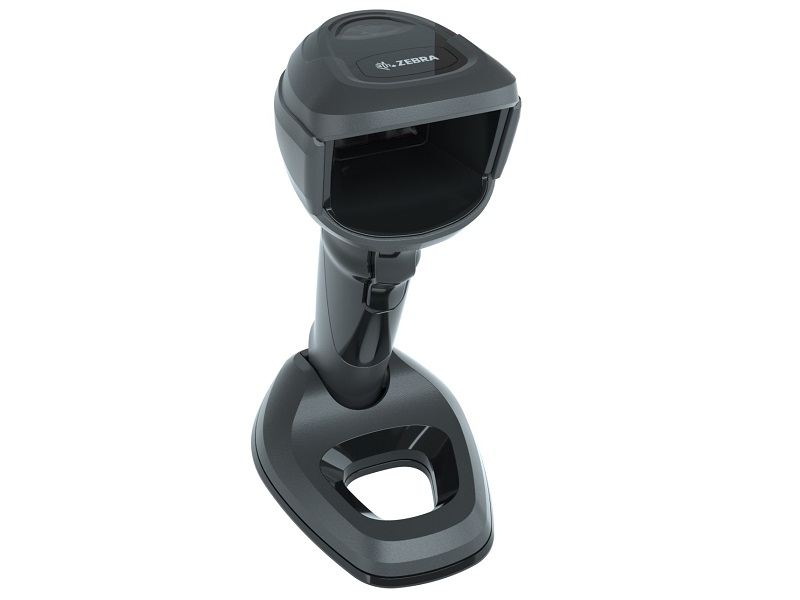 With the hybrid nature of the DS9908, picking up the scanner automatically takes you from presentation mode to the more traditional scanning mode for off-the-counter uses. You can quickly go from scanning items on your counter to scanning heavier, hard-to-reach items still in or under the customer's cart. Find it faster! Click here to compare DS9908 models by feature.